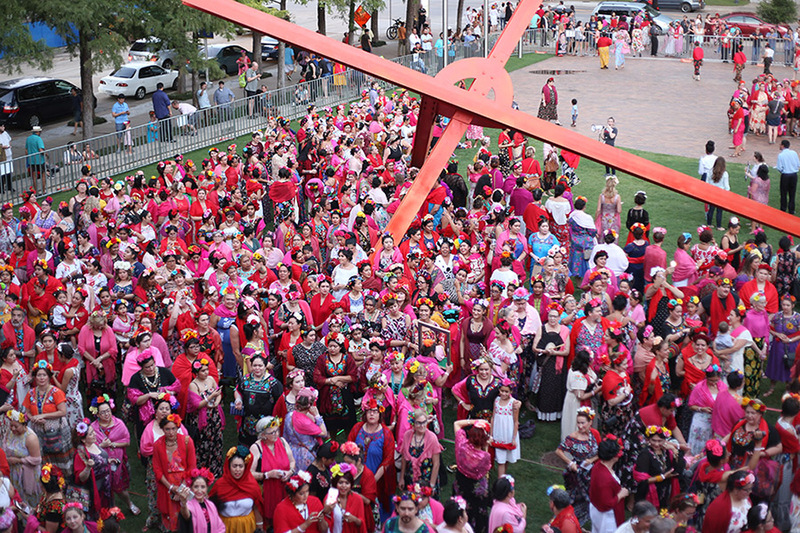 DMA Attempts World Record For Most Fridas In One Place. 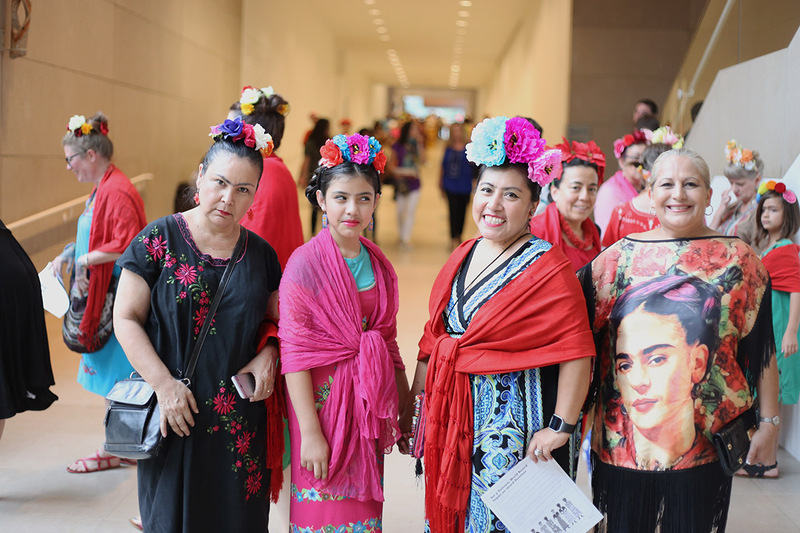 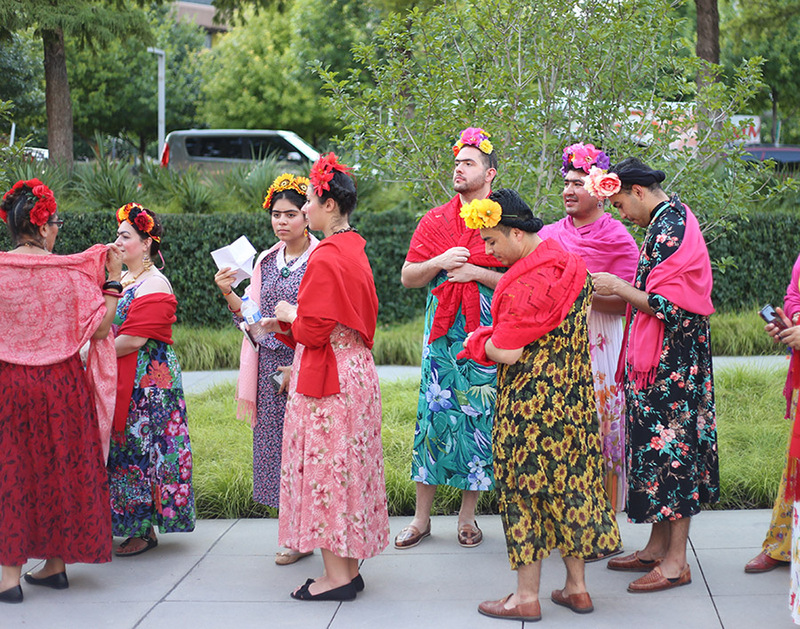 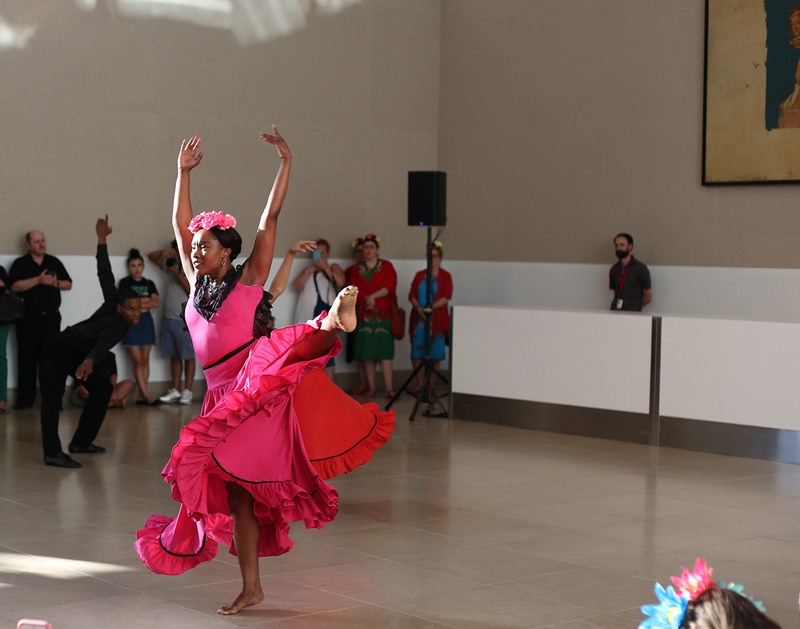 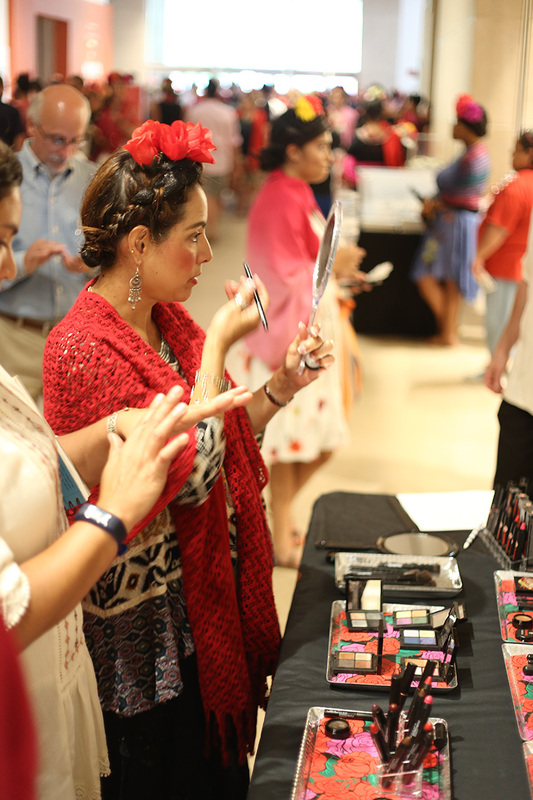 Neither Rain Nor Heat Nor Humidity Could Dampen The Spirits Of The Thousands Of Frida Kahlos Who Showed Up At The Dallas Museum Of Art Last Night. 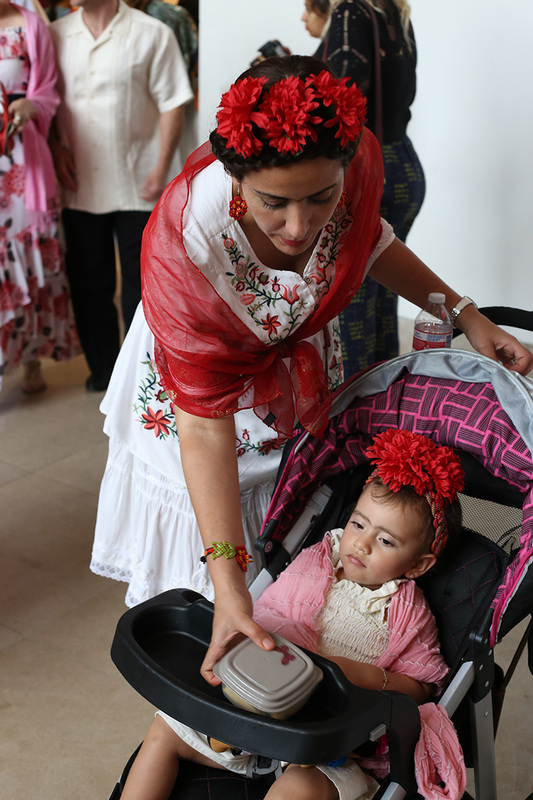 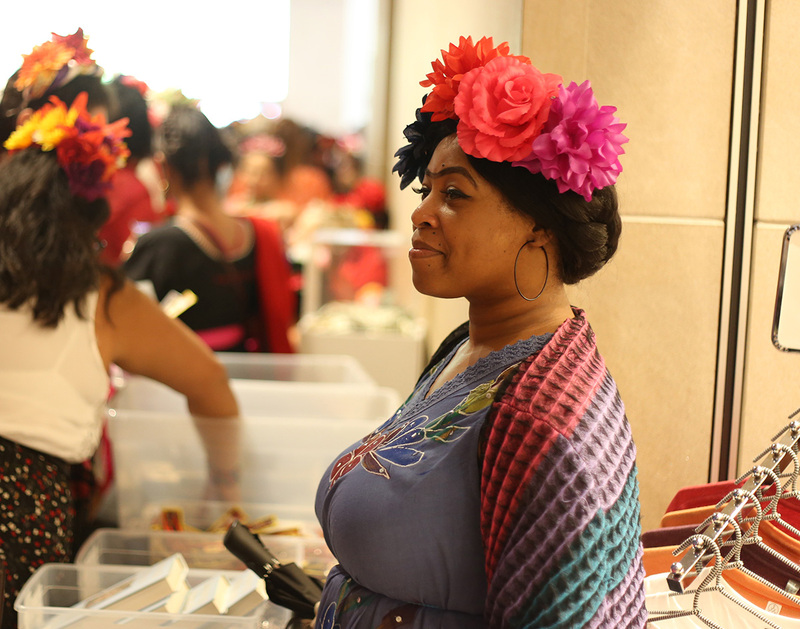 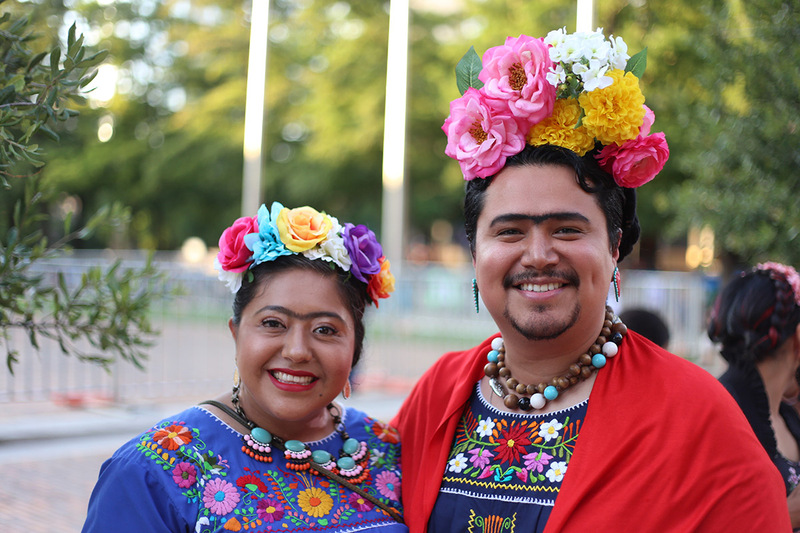 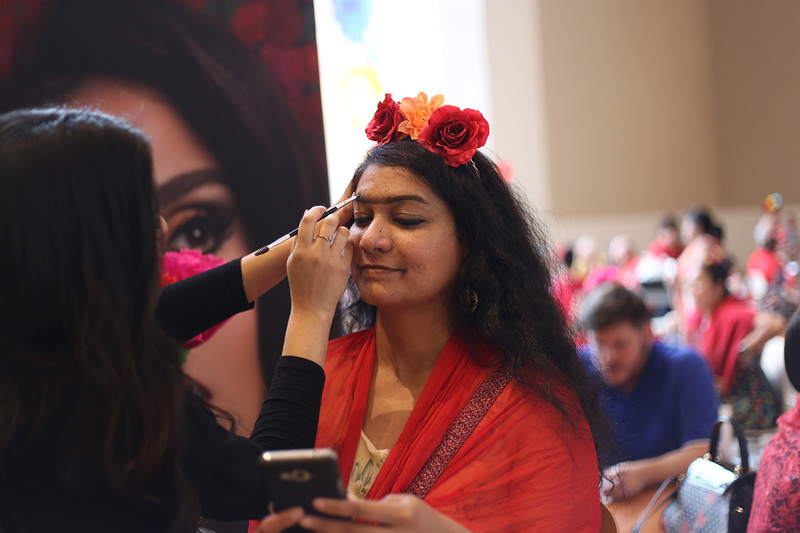 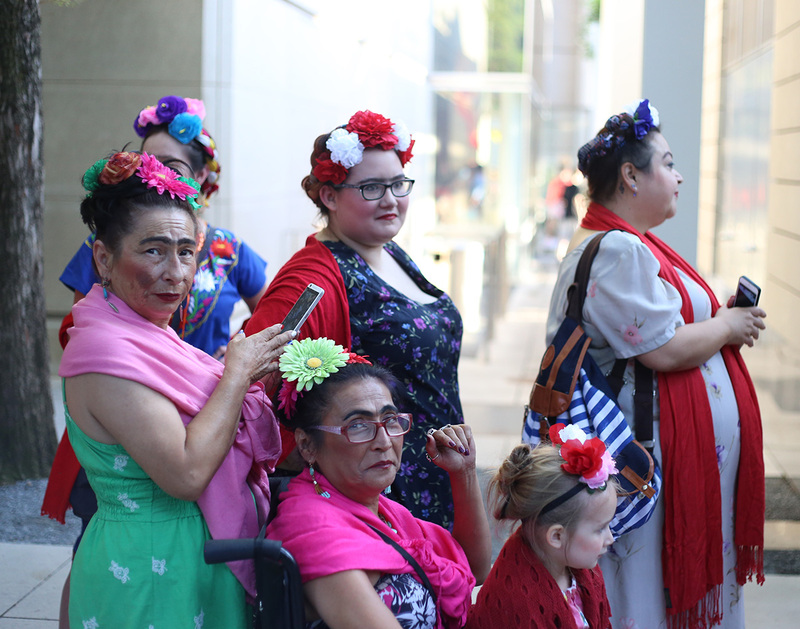 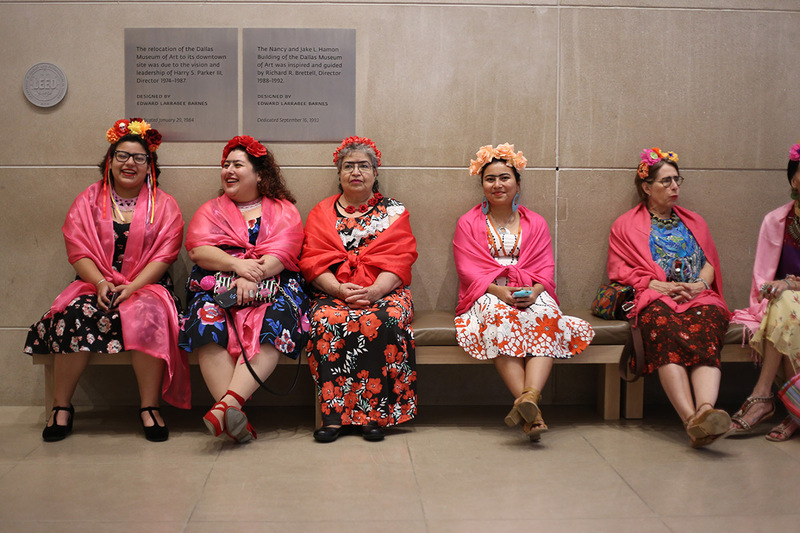 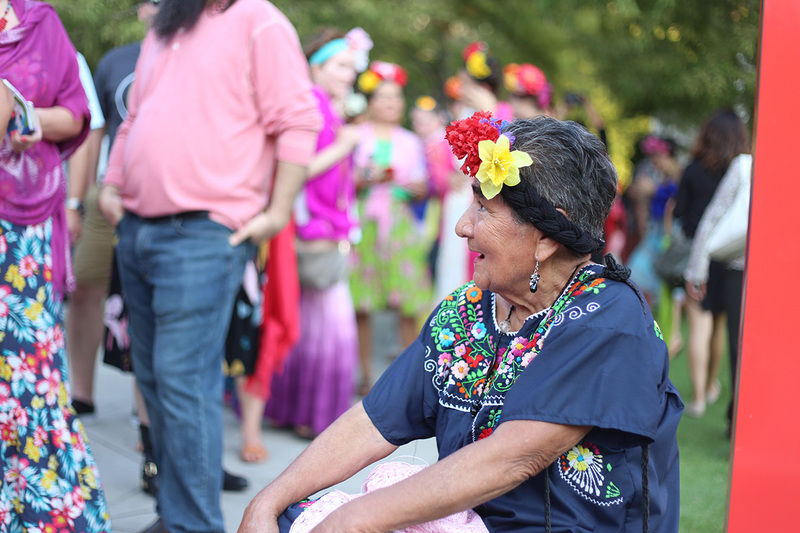 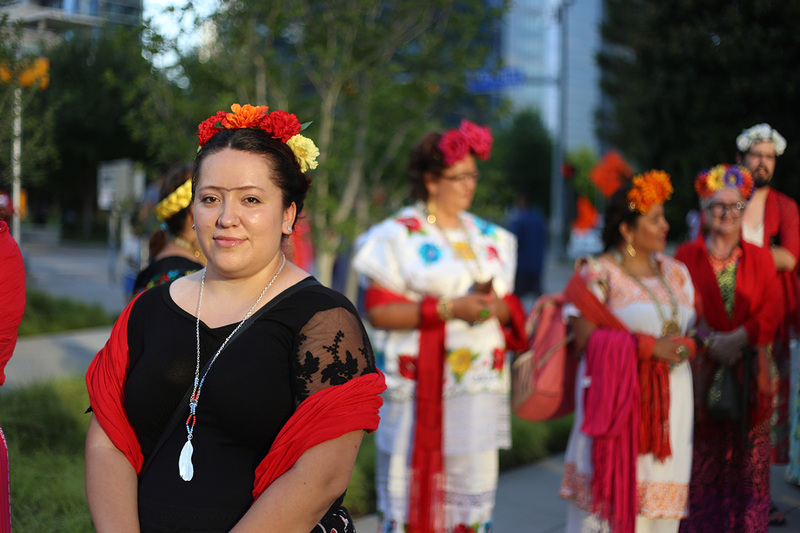 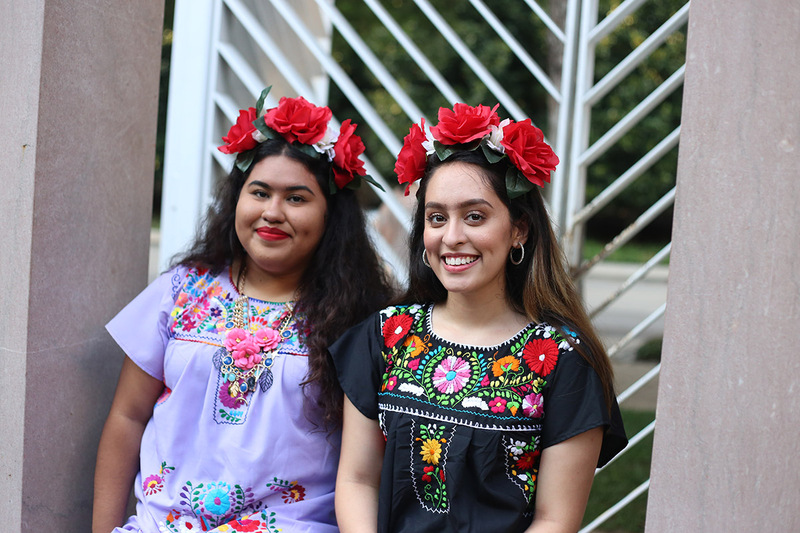 Dallas celebrated Frida Kahlo’s 110th birthday with lots and lots of floral headwear. 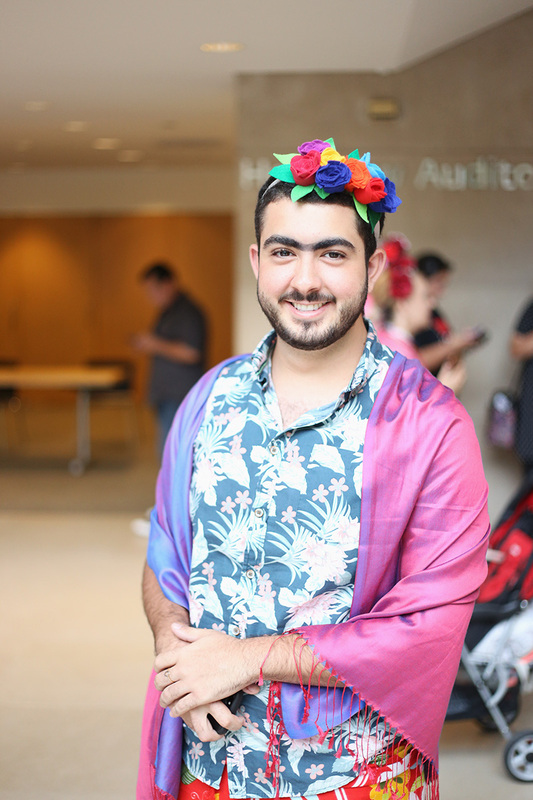 It was a concerted effort. 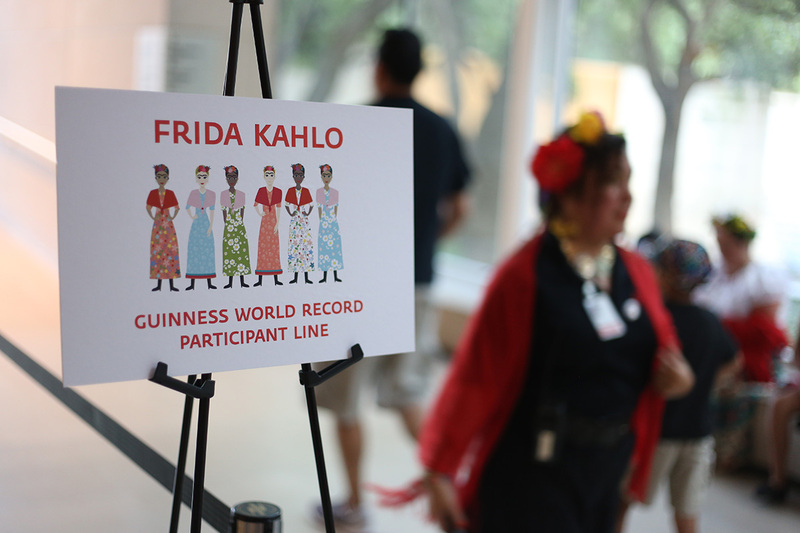 Pegged to its ongoing “Mexico: 1900-1950” exhibit, which runs through July 16, the Dallas Museum of Art hosted a “Frida Fest” last night, asking that fans of the famed Mexican artist come to the museum dressed in her iconic style as part of an attempt to set a Guinness World Record for largest crowd of people dressed as Kahlo in history. 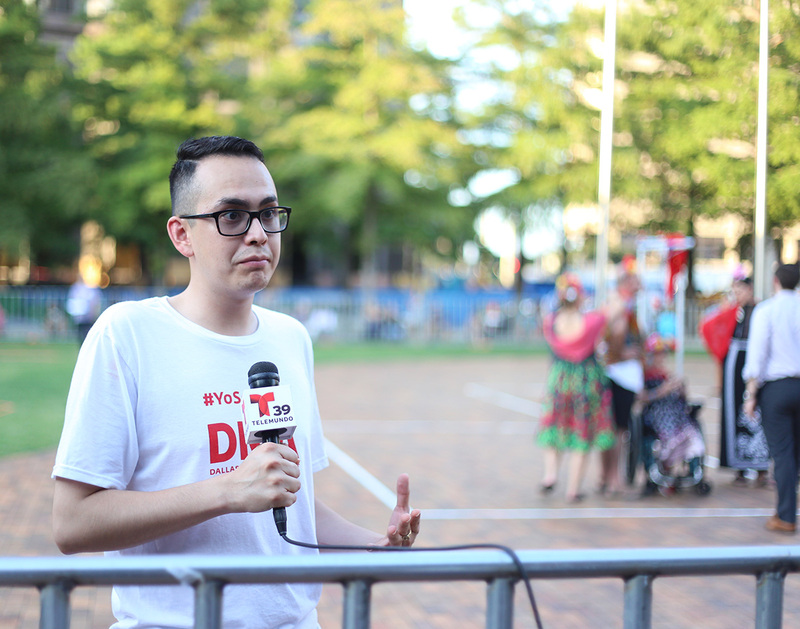 By 6:30 p.m., the line to participate in the attempt began forming. 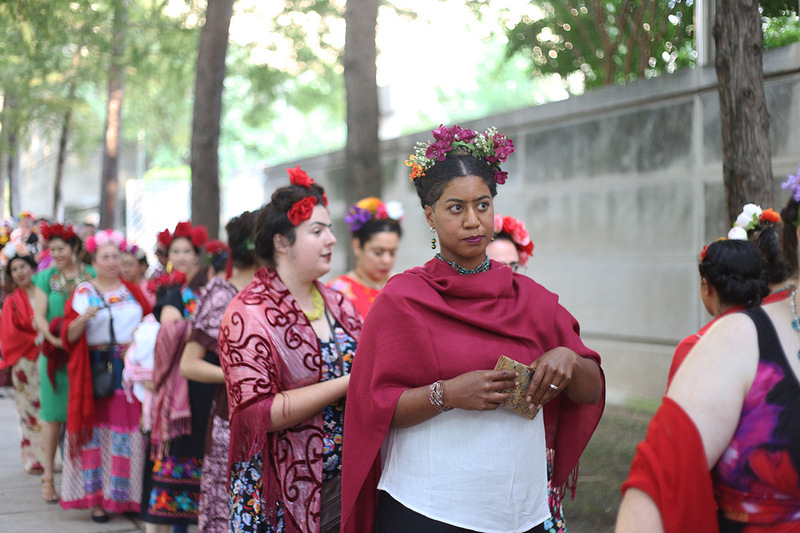 By 7 p.m., it stretched from the southern entrance of the museum through its the northern doors and onto Harwood Street. 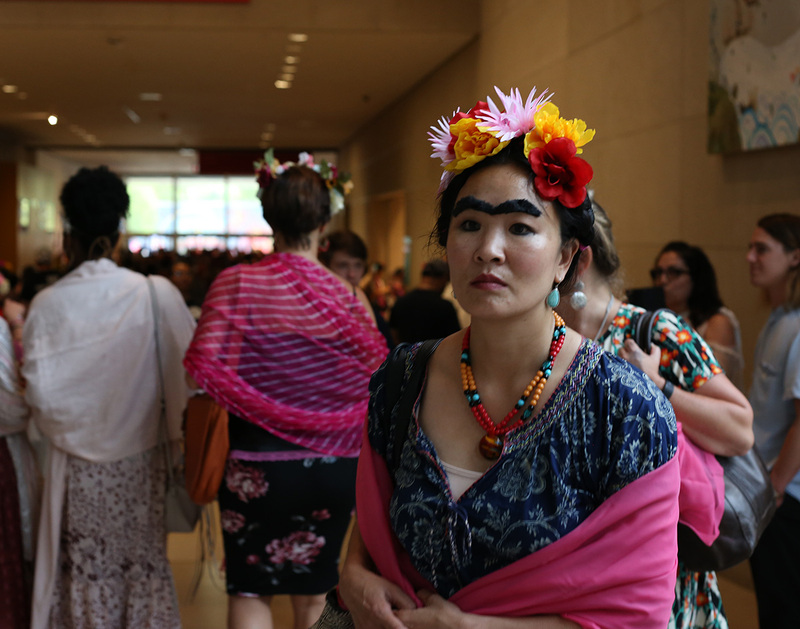 As dozens and dozens waited in yet separate lines to get their unibrows properly drawn, the crowd continued to grow in size. 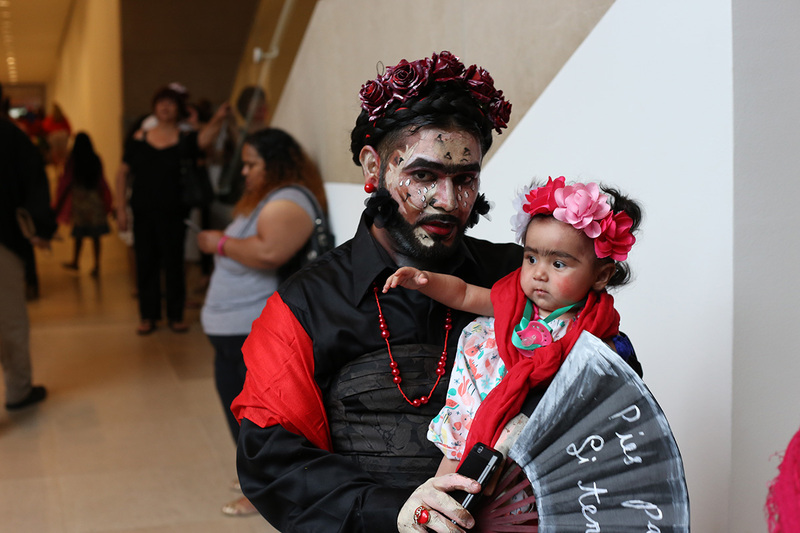 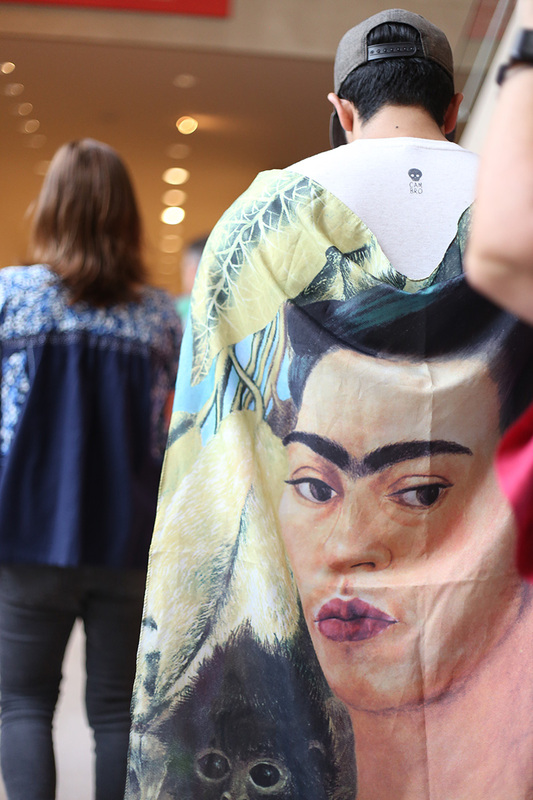 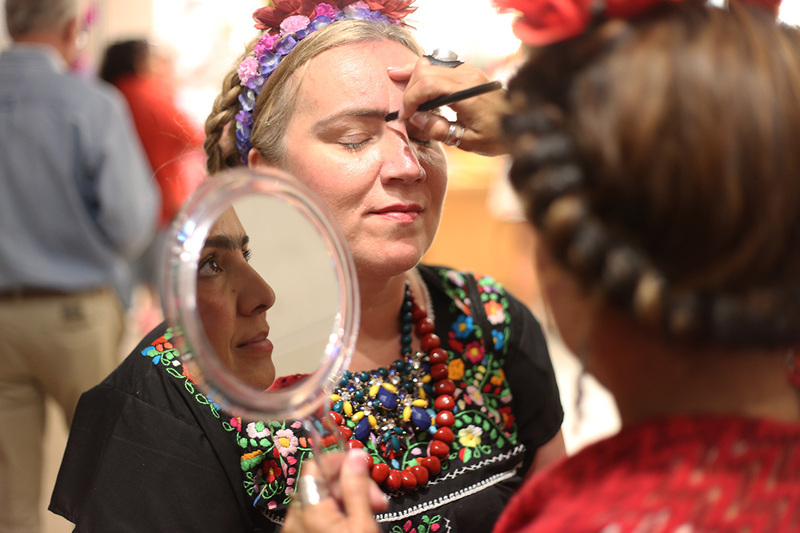 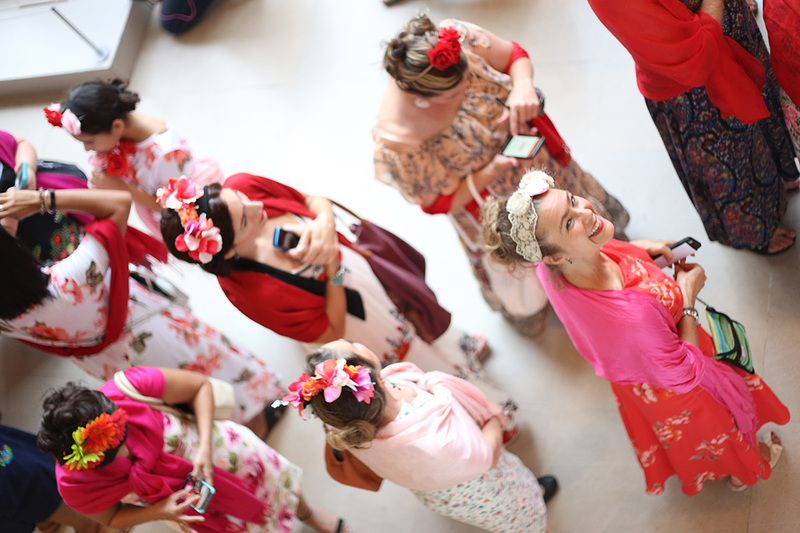 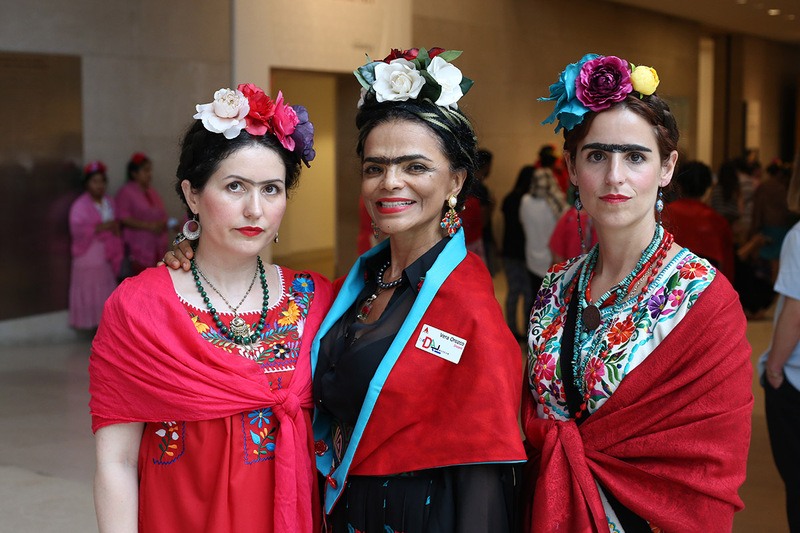 By some estimates, as many as 2,000 people arrived at the museum dressed as Kahlo last night. 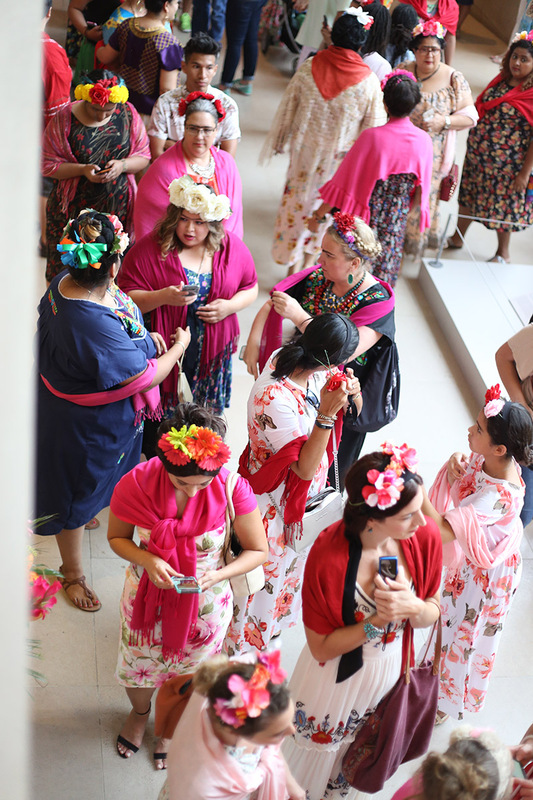 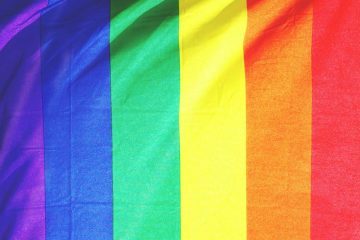 Only 1,100 people would be allowed into the museum to participate in the attempt to set the record, though; amid heat concerns and a report of one woman fainting, Yo Soy DMA director Jose Manuel Santoyo said organizers decided to cap the number in the name of safety. 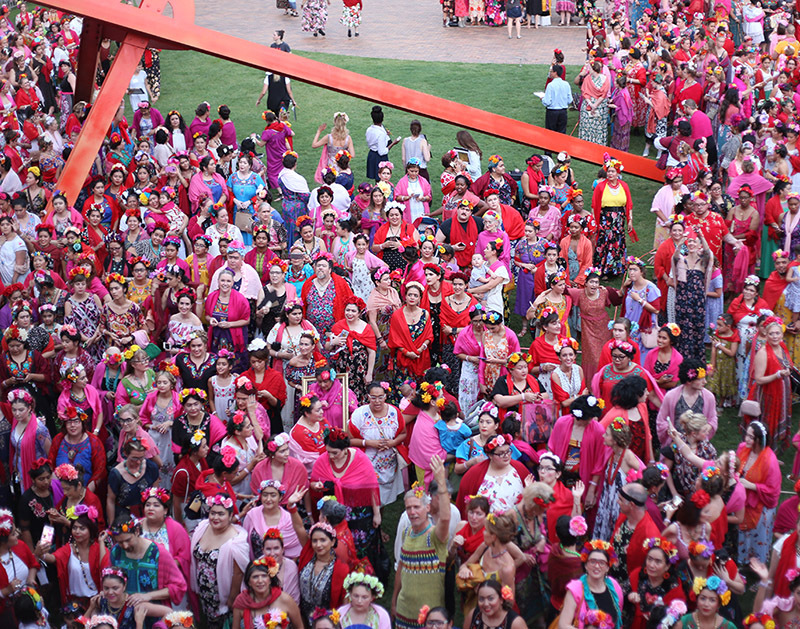 The attempt at drawing the largest number of people dressed as Kahlo in a single space undoubtedly set a record — no one has previously asked Guinness to note such an effort — although Santoyo says Guinness’ record-keepers warned that a formal verification of the record could take up to two months to process. 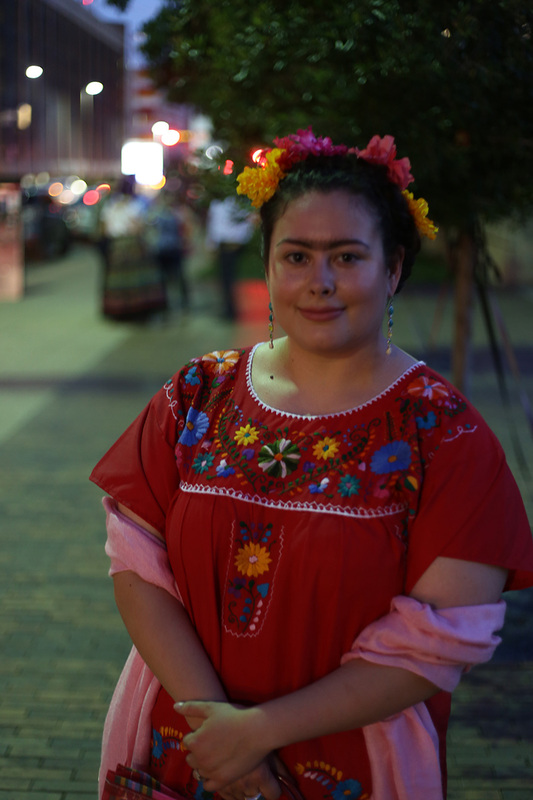 Sallie Martinez, 25, was Frida no. 271. 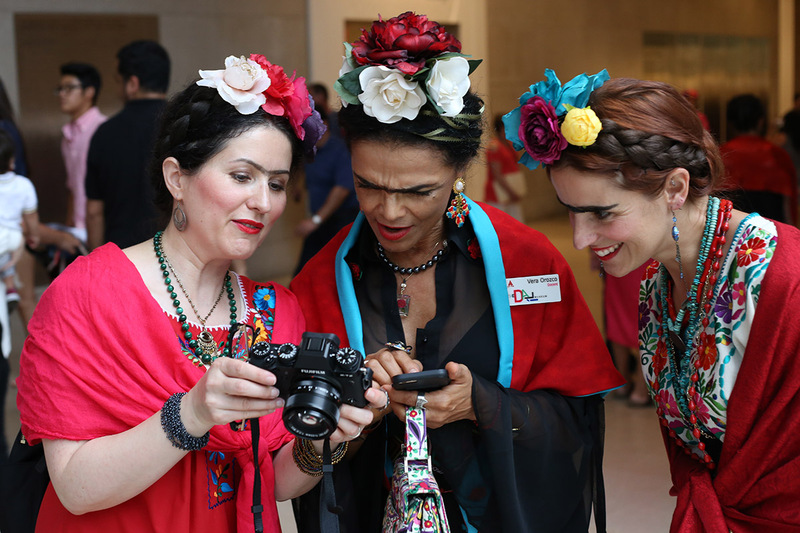 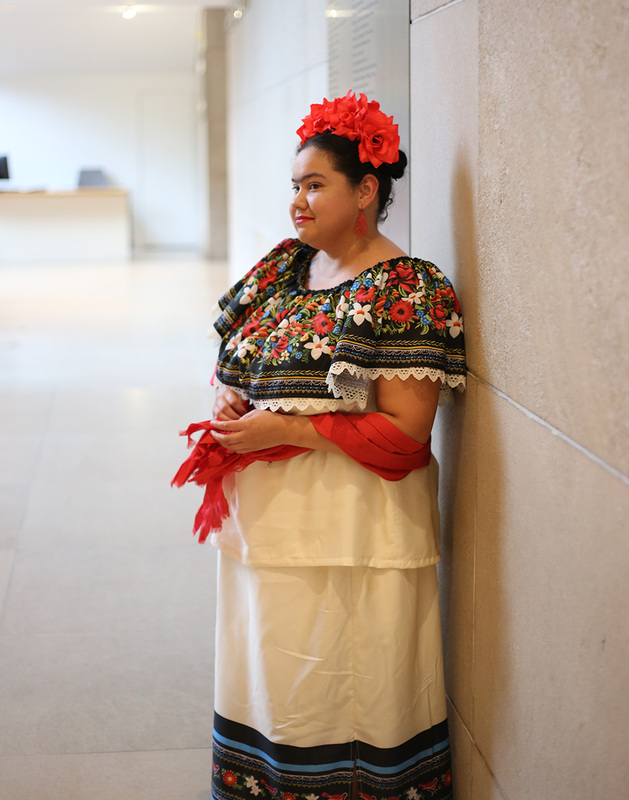 Martinez, who had dressed up as Kahlo before and already had her outfit ready to go, said she appreciates the fact that so many people were so enthusiastic about celebrating Kahlo — even if, she said, it was clear that some of them weren’t all that familiar with her work. 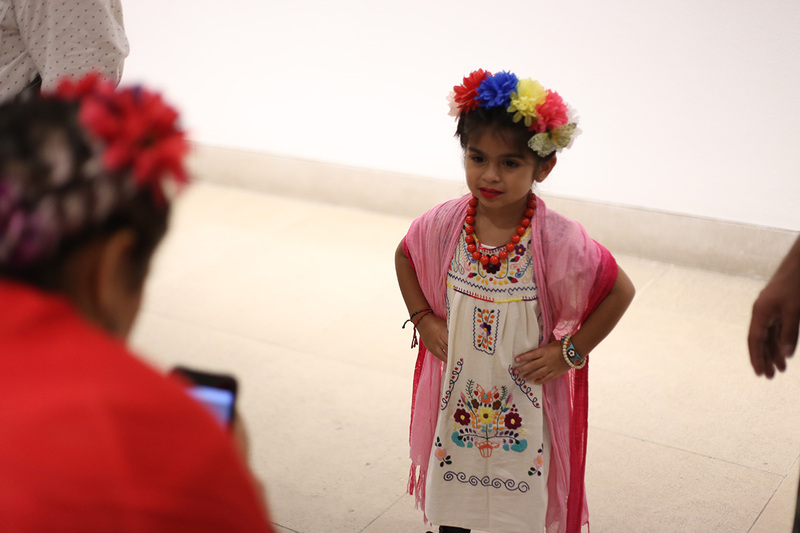 DMA director Agustin Arteaga said that the event’s turnout speaks to the popularity of the “Mexico: 1900-1950” exhibit. 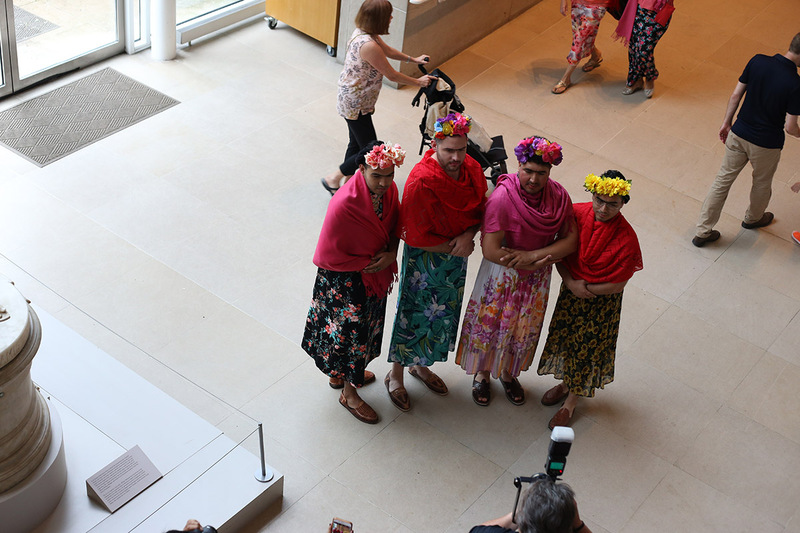 He also confirmed that half of the visitors to the exhibit have indeed been first-time DMA visitors. 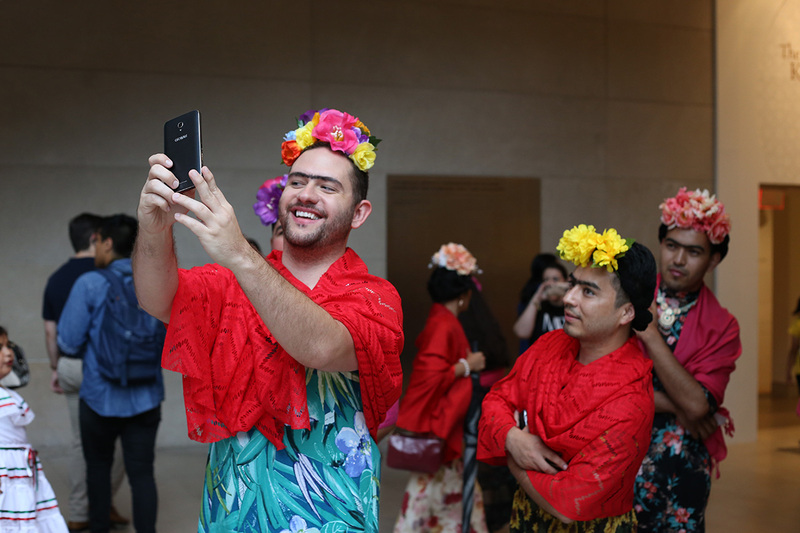 Furthermore, as a Mexican himself, Arteaga added that seeing such a variety of people celebrating an artist of Kahlo’s background was an emotional experience for him personally. 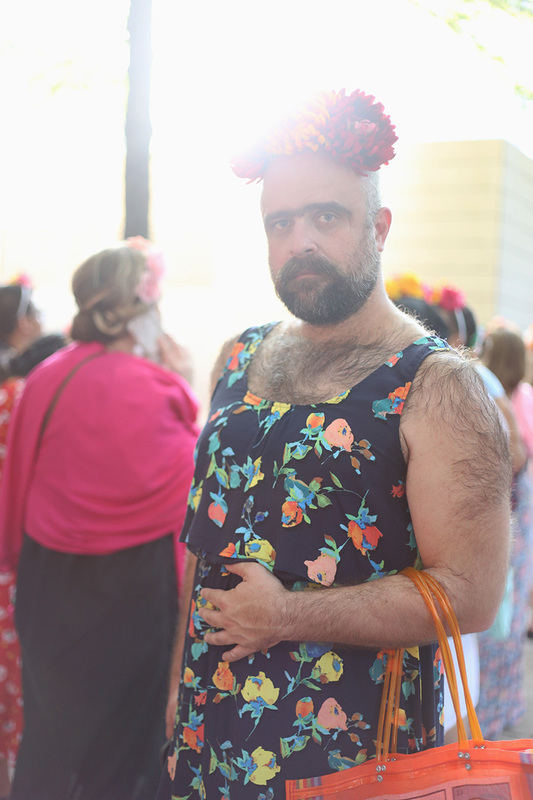 Previous ArticleEven After His March Turned Deadly, Jeff Hood Still Fights. 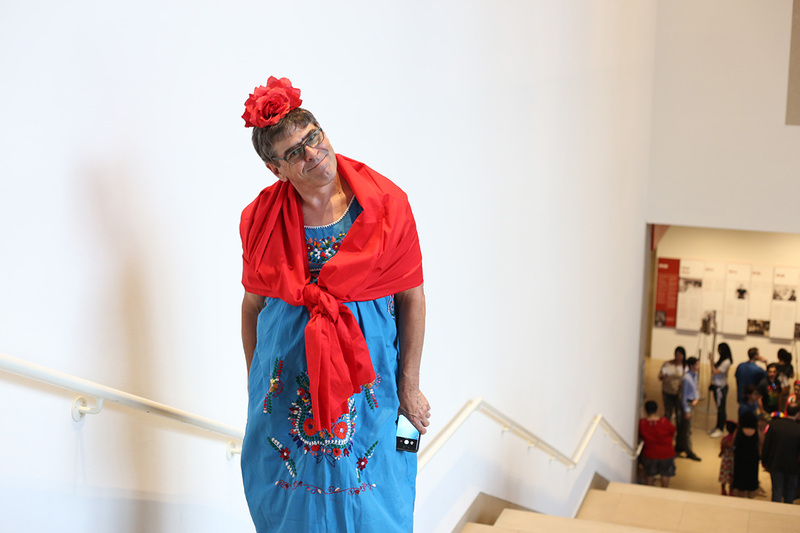 Next ArticleThe 10 Craziest Wrestlers to Work in Dallas’ WCCW.